Buying a noticeboard or a sign is simple, but deciding what to write is a completely different game. In it’s simplest forward, you could just advertise what you’re selling and show the price. But this is a bit boring really. 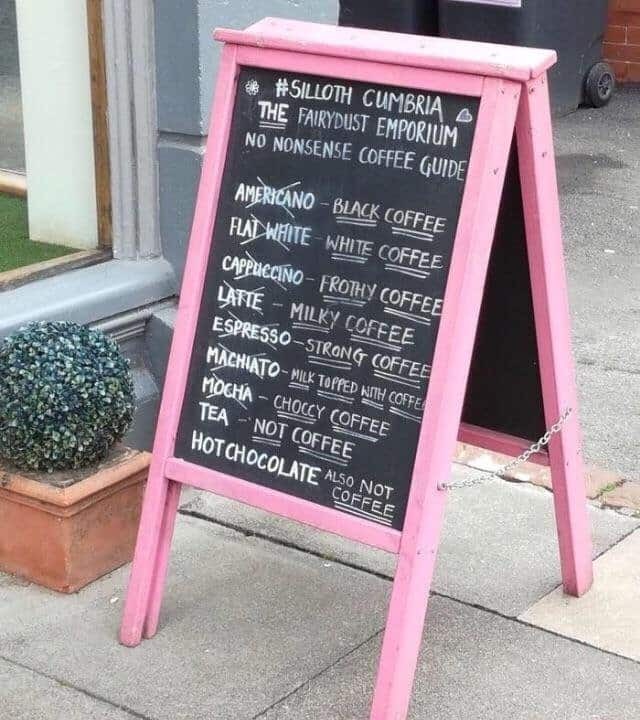 This A-Board from a coffee shop in Silloth (just up the road from us) made us smile. It tells you what they sell, but in a clever way.